Learn to think like a scientist. 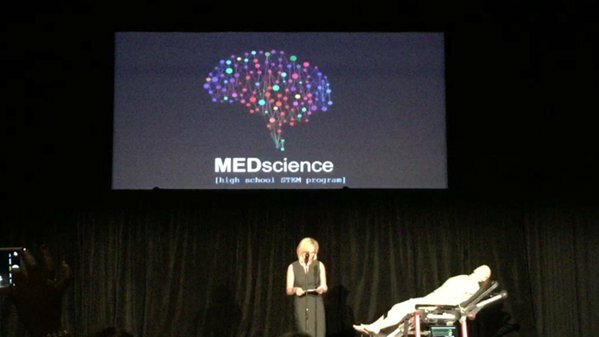 HMS MEDscience is a high school STEM education initiative inspiring students to learn without limits and engaging them in science through hands-on experiences. MEDscience uses realistic medical emergencies with our patient STAN to bring the science to life! Our unique curriculum is designed to teach students about the human body and expose students to careers in STEM. Our program goals are centered on building student outcomes that promote academic and career success. Boston Voyager interviews our Executive Director, Julie Joyal, who discusses her unconventional pathway towards her life’s passions and her fight towards addressing educational disparities in Boston. Kaitlyn Macdonald participated in our HMS MEDscience Summer program. Please read her story here on her journey this summer on finding the right diagnosis, and finding her passion. Boston After School and Beyond observed our program and selected us a representation of their ACT Skills Framework initiative. Thanks to the partnership of Boston Public Schools, The City of Boston, and 144 program sites, over 12,500 young people are spending their summers engaged in exciting, hands-on learning. HMS MEDscience opens up a new world of possibilities that teach life-long skills to students at Brookline High School. Joyce Chisale, a resident of Milawe, was recently featured on The Last Word with Lawrence O’Donnell. MEDscience was delighted to host Joyce in the morning prior to her interview that night. She was a natural fit in the medical setting. View the full interview here. Julie Joyal, Livia Rizzo, and Colby Reilly join CMS' Jenny Konjoian in an exam room after a simulation. For the full article, please click here. This fall, we have a group of senior students from Beaver Country Day School participating in our program. Be sure to read their newsletter to watch the students' weekly progress! Students at the Boston Day & Evening Academy use the knowledge they learn in class and connect it to real-life medical situations. The program's unique pedagogy allows students to think critically, and function effectively as a team. Please watch the HMS MEDscience feature on CBS-WBZTV! Our Executive Director, Julie Joyal, and Program Director, Stephanie Kang, were featured on the CBS WBZ-TV, December 3, 2016. We are excited to share the video with our Board Members! Please click the image above to hear Julie and Stephanie speak about the HMS MEDscience mission and goals on the 4 Your Community Live News segment! Julie Joyal, along 4 other selected finalists, pitched their non-profits in front of 8 judges in order to raise funding and awareness for their programs. Julie spoke passionately about closing the opportunity, inspiration and achievement gap through science and won $15,000 for our program! HMS MEDscience joins BASB 2016 Summer Learning Community! HMS MEDscience selected to be "Social Impact Fellow" in Power Launch's Inaugural Accelerator! PowerLaunch's nonprofit accelerator provides social entrepreneurs with access to leadership and organizational development training, expert mentors and a range of professional consultants and pro bono services. HMS MEDscience is on TWITTER!! Follow us on twitter to see live posts and updates about what we are up at at HMS MEDscience! Spring 2016 Semester has begun! MEDscience has added new high school partnerships, bringing our total to 11! Spring Semester has already been great fun with our students learning how to intubate and saving patients! The Charity Warriors Gala was hosted at the Artists for Humanity Epicenter on February 11, 2016. Julie Joyal was annouced as the winner of the Charity Warriors Challenge for raising the most funds over the 10-week campaign. Meet Stephanie Kang, HMS MEDscience's new Program Director! Seniors from Community Academy of Science & Health participated in a Charity Warriors Event where they got to show off their skills and teamwork towards treating a patient. 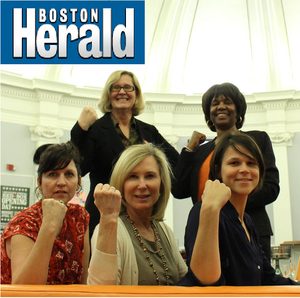 HMS MEDscience was featured in the Boston Herald as a Top 5 Finalist of the Charity Warriors Challenge! HMS MEDscience was a selected participant of the 2016 LearnLaunch Conference! HMS MEDscience brought STAN to the 2016 LearnLaunch Conference Across Boundaries: From Digitizing Past Practice to Personalized Learning on January 21, 2016! CASH students represented the team and spoke about how MEDscience affected how they think. HMS MEDscience & HPREP kick off a second year 2015-2016! HMS MEDscience continues its partnership with HPREP (Health Professions Recruitment & Exposure Program at Harvard Medical School) to provide our program to more students from the Greater Boston area.